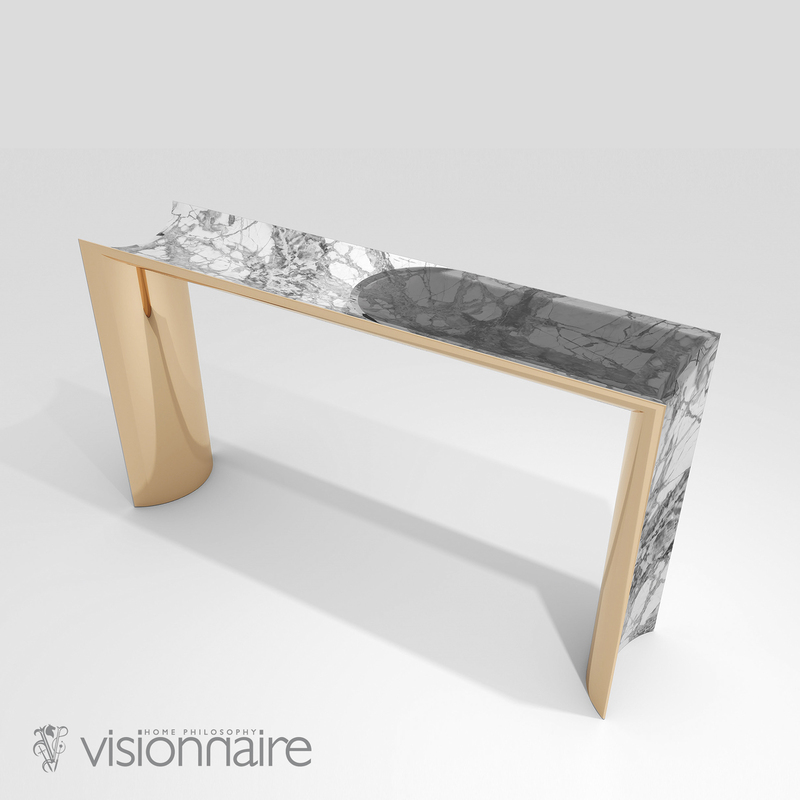 Italian designer Ekos console in solid marble with exceptional concave work for top and legs, handmade polished finish. The second top of this exclusive console is in smoked crystal. The inside part of high-end Italian furniture piece is covered in curved polished stainless steel, available in different colors. Sophisticated work of art in the Glamour style, ideal for refined entry homes. 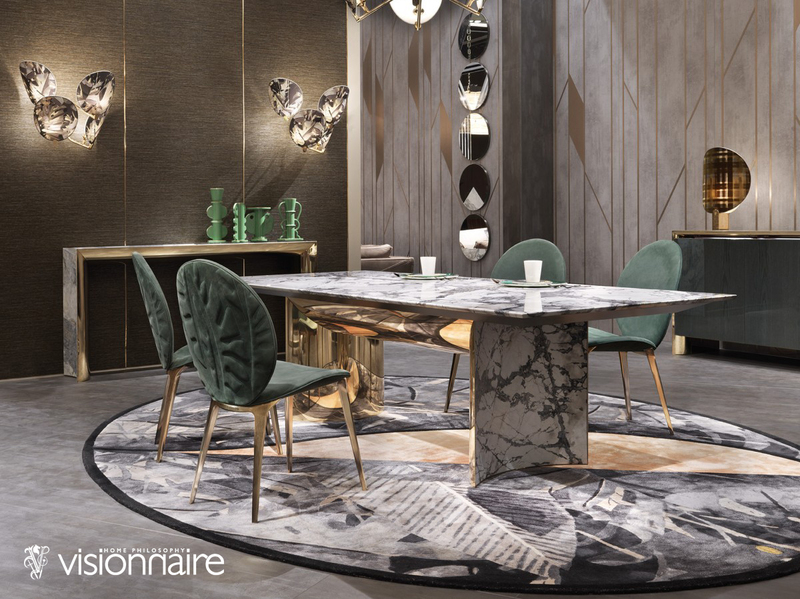 This luxury Italian Kerwan Table is utterly exceptional. With top in high-end marbles with bevelled ..